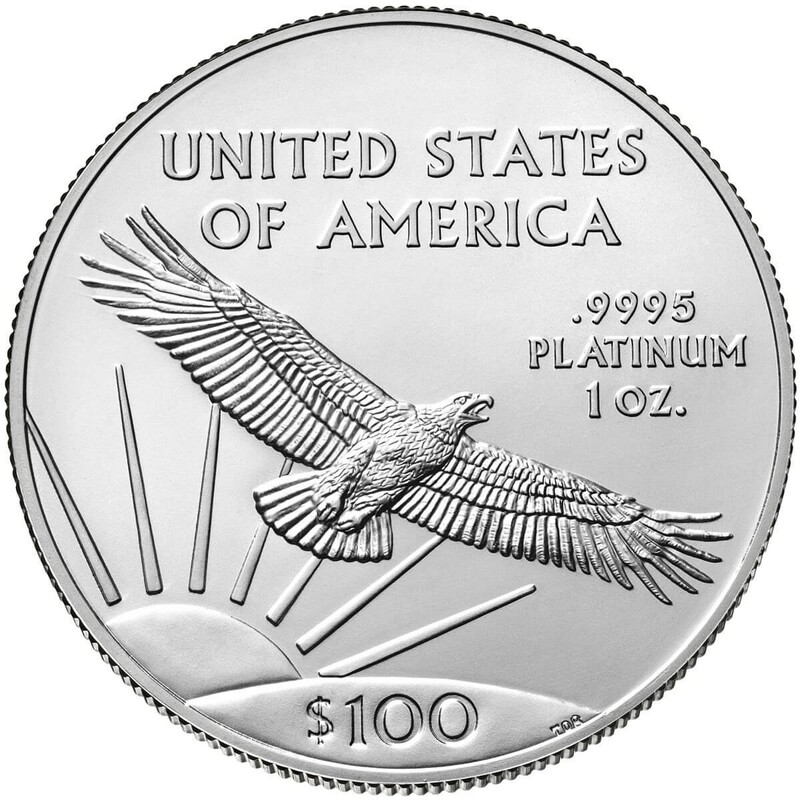 The American Platinum Eagle is part of the wildly popular US Mint's Family of Eagles products. 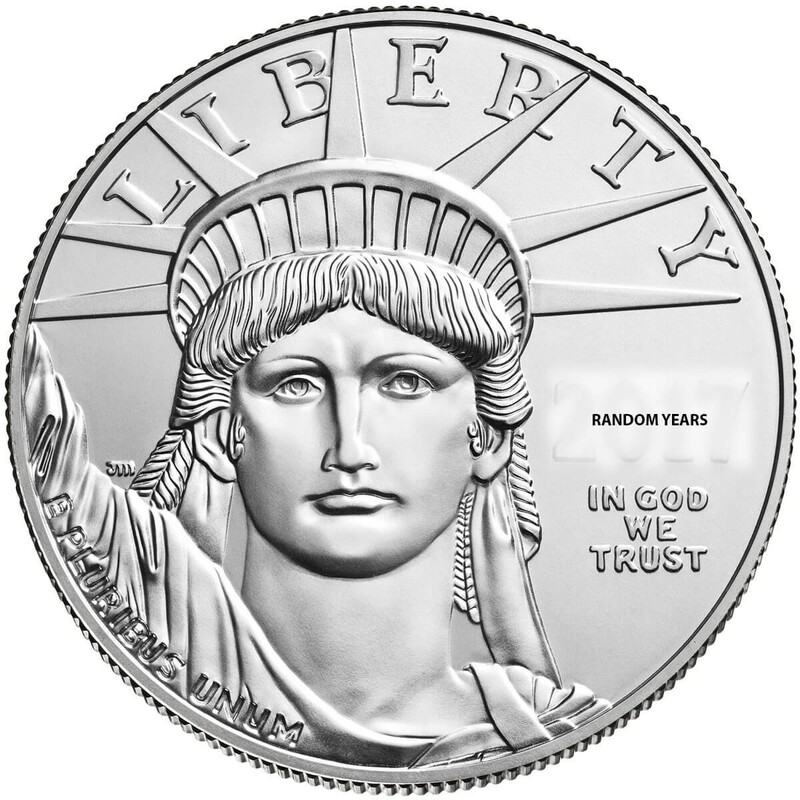 The obverse features the head of Lady Liberty, the date and the motto "In God We Trust", the reverse features a soaring eagle, along with the purity of .9995 and the weight of one ounce. 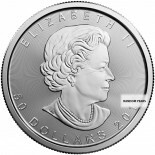 The coin is nominally listed as $100 USD and is considered legal tender.